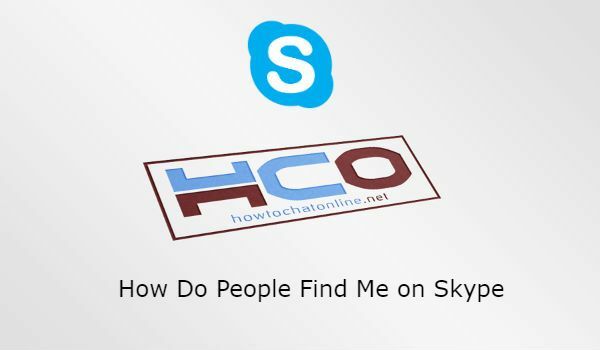 We are going to tell you how do people find someone on Skype on this page. We got this question from one of users who is living in Bulgaria. We thank for the question and we will try to answer this question as much as we can. The original question is “How Do People Find Me on Skype”. There are several ways to find someone through the application. As we have mentioned above, there are several ways that people can find you on Skype. These ways are: Email, Username, Phone Number, Contacts, Email Listing and Your Name. People can find you easily through your email address on Skype. If you share your registered email address to Skype before with someone, he/she can find you on the application. All he/she needs to do searching your email address for this. Sometimes people can guess those usernames to talk someone random. You can meet such people at times. If you also share your username with a Skype user, he/she can find you in a few seconds. If you enabled your phone number on your Skype account, people who knows your number will find you easily. There are also ways to guess random phone numbers. You can also get messages from random people (who wants to chat with strangers) because of this. If you are at someone’s contact list on his/her phone, he will able to find you on Skype and he will begin to talk to you. This is not advertising listing… When you add people to contacts on your email, you will able to reach them at different platforms. As well as Skype too. If someone has added your email address to his/her contact email list, he/she will find you. If someone knows your name and surname and if you give Skype exact information about this, he/she can find you. However this is the hardest way to find someone because there are many people on the world who have similar names and Skype search results are very limited on this.